Issel Solano, a freshman performing arts major, did not participate in the Student Theater Alliance’s Common Auditions this year. Student-run theater at Emerson has begun to make new strides toward inclusion. Emerson Shakespeare Society, whose mission is to produce works of theater based on classical texts, began the spring semester with a new and timely initiative—to not accept any productions for their spring semester season that did not include actors of color. Executive Director Julian Aldana-Tejada, a senior performing arts major, said it was an easy decision. For Aldana-Tejada—who often found himself to be the only actor of color in shows early in his Emerson career—improving the representation of students of color in the Emerson student theater community has been an important goal since joining the EmShakes Executive Board. It aligns with the company’s efforts to find new ways to represent classical material. For instance, this semester, EmShakes will present Uncle Vanya by Anton Chekhov, whose work has historically been cast all-white. In this upcoming production, (directed by Elliot Masters), three of the five leads will be played by actors of color. For this casting process, EmShakes focused on being “color-conscious,” as opposed to “color-blind,” where race and ethnicity are simply ignored in making casting decisions. Treasurer Ashley Dixon, a junior performing arts major, said although all of EmShakes’ shows this semester will be diverse, diversity will not necessarily be the artistic focus of those productions. 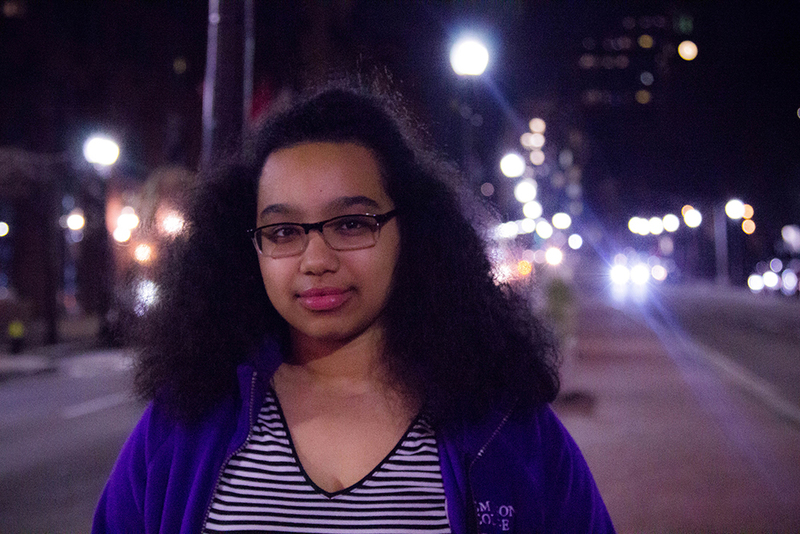 Issel Solano, a freshman performing arts major, said that she feels actors of color are only considered for parts that are specifically intended for them. She did not partake in the Student Theater Alliance’s Common Auditions this year—which according to Dixon, is not uncommon for actors of color who feel like they won’t be considered. Solano acknowledged that one of these friends was cast in a production this semester. On the other hand, however, she cited an incident in which a director told her friend she was “not the right look” for the part. Solano also pointed to another major flaw in the casting system of Emerson’s student theater, which contributes to the diversity issue—the tendency to cast based on favoritism. Aldana-Tejada said putting EmShakes’ new push for diversity into effect, in the face of all this, demands taking extra steps. “A lot of what the issue tends to be is an issue of complacency,” he said. According to Aldana-Tejada, even directors who go in the casting room intending to cast diversely tend to abandon those intentions when actors of color do not emerge, or are claimed by other shows. Dixon said her patience wears thin when she hears her classmates pledge their support for diversity, inclusion, and color-conscious casting without backing up their words with actions. Dixon said solidarity is key to improving the current state of diversity in performing arts at Emerson. “It would be nice if we could all get on the same page when it comes to where we want to move towards as a theater community,” Dixon said. She advocated for the possibility of other theater organizations on campus adopting EmShakes’ new policy, and expressed a desire to have difficult conversations with those who don’t entirely agree with it. Aldana-Trejada also pointed out the importance of diversifying the executive boards of Emerson’s student theater companies.